Dauntless, the cooperative action RPG inspired by Capcom’s Monster Hunter series, is now available in Closed Beta. Players interested in beginning their journey early can purchase one of the exclusive Founder’s Packs for immediate access to the beta. The Founder’s Alpha has been an inspirational experience for everyone here at Phoenix Labs. We’ve been collaborating with community, iterating on feedback, and improving Dauntless every day. Dauntless is a living game that we’ll be continuing to evolve, grow and expand through Closed Beta, Open Beta and beyond. Today’s Closed Beta launch marks the beginning of an amazing journey we’ll be taking with the Dauntless community for years to come. According to development studio Phoenix Labs, the Closed Beta will build upon Dauntless’ live service, delivering regular updates that hone and expand the gameplay experience. The game will go live later this year as a free-to-play title on PC; no plans have been announced as of yet for consoles; you may read Kai’s hands-on impressions from E3 2017 right here. 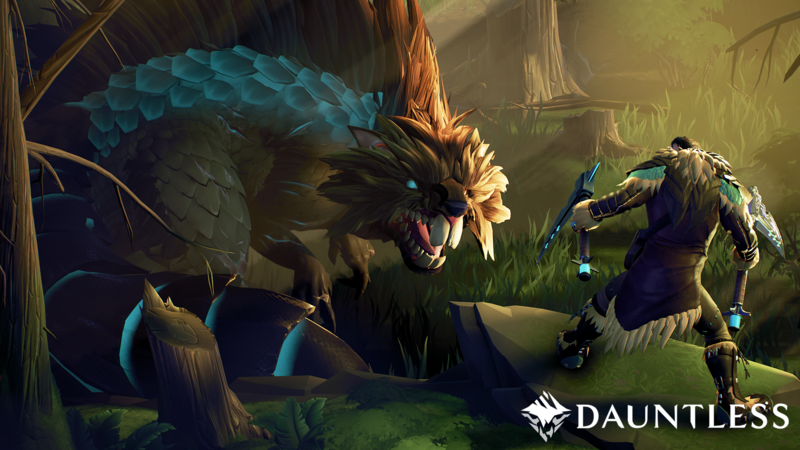 Dauntless is an online co-op action role-playing game (RPG) set in an untamed science-fantasy world. Players take on the role of elite warriors known as Slayers who protect humanity by hunting ferocious Behemoths. Dauntless is being created by a team of industry veterans from BioWare, Riot Games, and other acclaimed studios, led by co-founders, Jesse Houston, Sean Bender and Robin Mayne. In Dauntless, Slayers can go at it alone or join cooperative parties with up to four people to take on the Behemoth threat. No two encounters are alike – each brings its own unique challenges and rewards. To survive on the Shattered Isles, players collect rewards from their hunts to upgrade their arsenal of weapons and armor in a deep and robust crafting system.